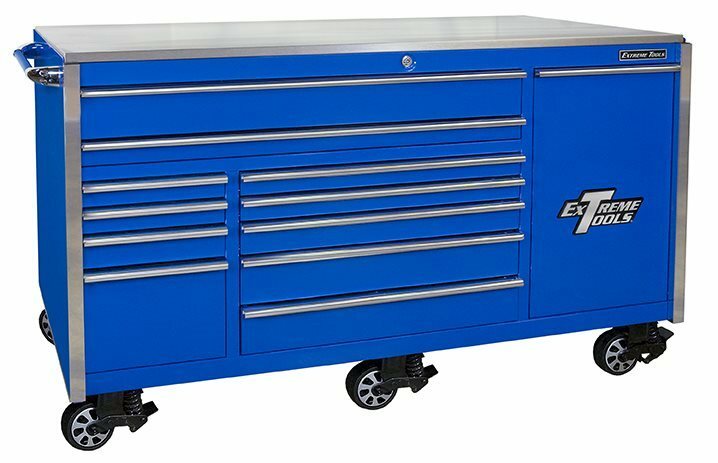 EXTREME TOOLS 76" ROLLER CABINET IS "ULTRA-MASSIVE" - IT IS THE LARGEST TOOL STORAGE CABINET ON THE MARKET. Extreme Tools 76" Roller Cabinet is a full 76 5/8" wide, 31" deep and 47" high. This roller cabinet is the largest, most dependable tool storage cabinet built today. Features a 6' by nearly 3' stainless steel work surface, 12 solid drawers that glide effortlessly, even when filled with tools, and a vertical power tool drawer. The vertical power tool drawer alone holds more tools than an average toolbox, with a storage area of 10.5 cubic feet. The vertical drawer also features 2 adjustable shelves, a peg board storage system, and a 4 outlet powerstrip. 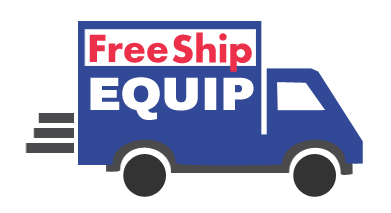 Includes 6 heavy-duty, spring-loaded casters, with 4 locking swivel casters and 2 rigid center casters (E), making the 76" easy to maneuver, even when cabinet is filled with tools. Rated 1250 lbs. each. Double channel spot-welded support brackets on bottom underside of each drawer reinforce cabinet and prevent sagging or warping. Ball bearing drawer glides load rated for 300-600 lbs. Stainless Steel Top work surface measures 76" x 31"
I love the box. I have the upgraded wheels but I built a frame and upgraded those wheels.